The Chhattisgarh Kisan Sabha has opposed the proposed amendments in the Indian Forest Act by the BJP Government of the Center and said that this has exposed the anti-tribal and corporate character of the BJP government. In a statement released here today, Rishi Gupta, general secretary of Kisan Sabha, said that if these amendments are accepted, then tribal rights law and Pesa law will be completely neutralized, as the proposed amendments will be given to Forest Officers To restrict the rights of people living in and to harass them, to displace them without their consent and to corporate Gives unlimited rights to delegates to forest areas. Many streams of these proposed amendments are the same as Armed Forces (Privilege) law like 22A (c), 26 (3), 29 (3), 30 (b), 34 (c), 66 (2) etc. It is clear from this that this government is declaring a war against 10 million tribals residing in forests. The Kisan Sabha leader has said that the opinion of the state governments on these amendments has been sought and the Congress should dismiss the Bhupesh Baghel Government without delays. The Kisan Sabha has raised objection even at the time of the proposed amendments, as this step deprives the government of giving new opportunities to policy decisions. He said that it is clear from the corporate policies which are being implemented by this government, that the real intention of the government is to entrust the affluent forest estate to the corporates and to crush every legitimate voice and movement that arises against it. The Kisan Sabha has said that the efforts of this government have been thwarted in the case of eviction from the forest and in this case it will be defeated by the mass movement. This issue will also be made into the electoral agenda in the state. 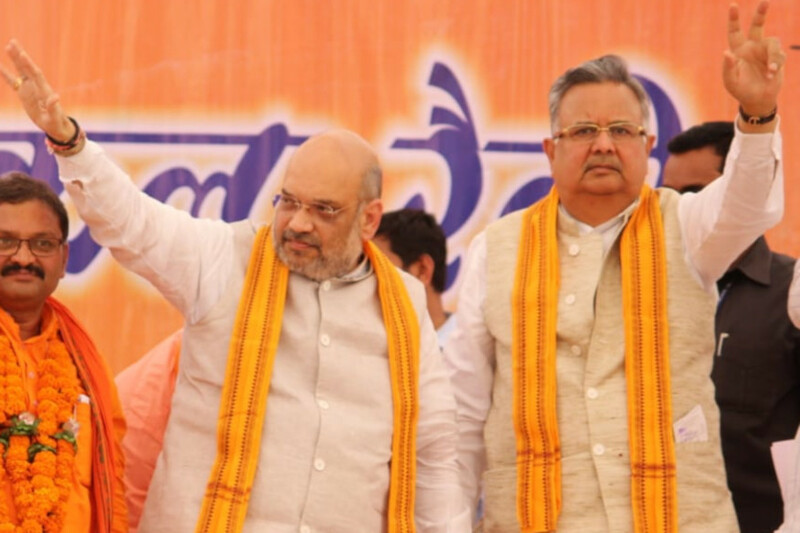 In the reserved Lok Sabha seat for the only SC category of Chhattisgarh, there is a complete possibility of contesting the contest in Janjgir-Champa. In the Janjgir-Champa Lok Sabha seat, besides the BJP, Congress, BSP has also lost its fate. BSP, Congress and BJP all have declared their candidates in this seat. Significantly, the BJP has changed the two-time Kamla Devi Patlal, and has thrown Juharam Ajghle into the ground. At the same time Congress has new faces Ravishhekhar Bhadwaj and BSP from Daruram Ratnakar Ground. The BJP has bet on the new face by not giving tickets to its current MP Kamla Devi Patale. In the Janjgir-Champa seat, BJP has won two successive elections. But after the defeat in the assembly elections, the BJP's hat-trick is not easy to see. In this BJP-occupied parliamentary seat, the Congress vote share has been the highest in the assembly elections. After this, the BSP-JCCJ and the BJP behind it. This Lok Sabha seat is one of the only seats of the reserved reserved for SC category. Regardless, its BJP is claiming to win this seat. BJP spokesperson Sachchidanand Upasena says that this seat has full potential for triangular struggle. Its benefits will be given to the BJP only. Janjgir-Champa parliamentary constituency comes in 8 assembly seats, in which 4 Congress, 2 BJP and 2 are held by BSP. The Congress's rise in the vote share of the 2018 Assembly elections has been huge. The Congress has fielded Ravishhekhar Bharadwaj and BJP from Guharmam Ajgale and BSP has fielded Daruram Ratnakar in the election. All the parties are fighting for their victory. PCC spokesman Ghanshyam Raju Tiwari says that Congress is constantly working for all sections. Our candidate will have the advantage. Congress will win 11 seats in 11 Lok Sabha seats. At the same time BSP state president Hemant Piyam says that we are preparing well in the field. S-two seats and on which we are foaming. We are comfortable with our victory.